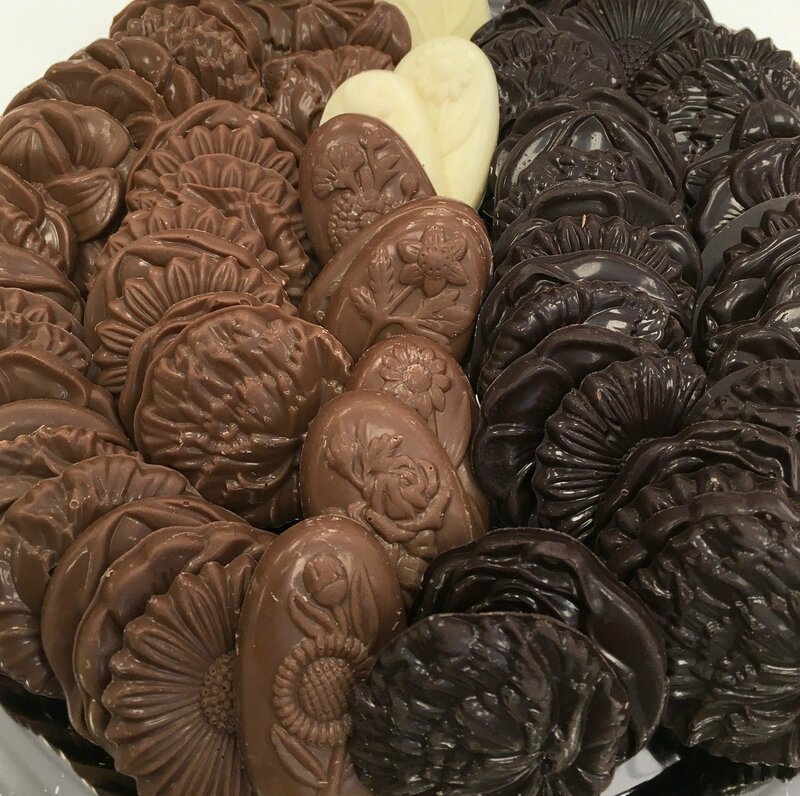 F - Assorted Chocolate Flowers. 1 1/2 approx. Peanut and Gluten Free. 52 to a Lb.